Our corridor panel system is designed to be aesthetically pleasing and engineered to ensure optimal strength. 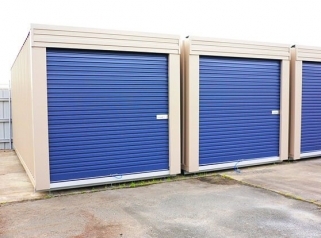 It is one of many great Self Storage products on sale. Our SS panel is the most secure in the Self Storage industry. 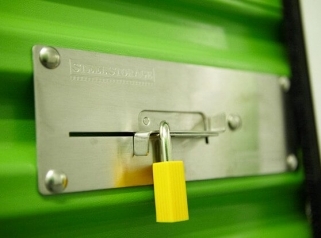 The patented interlocking system provides robust security between Self Storage spaces while allowing easy removal if relocation is required. Used in conjunction with our corridor SS panel, our plastic inserts ensure that channels remain free of dust, saving facility staff many hours of tedious cleaning time. 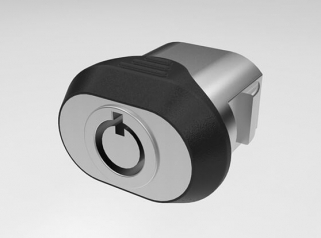 Our stainless steel roller door slide lock is easy to use, can withstand the rigours of outdoor use and is simple to maintain. Facility staff can easily over lock and restrict entry if necessary. Our revolutionary recess swing door lock is the most visually appealing, ergonomic and safe lock on the market. 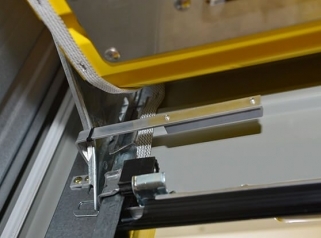 Its recessed installation and rubber components significantly reduce the risk of catching and injury. Facility staff can easily over lock and restrict entry if necessary. 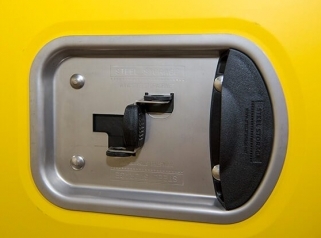 The recess barrel lock is unique to the market and provides owners /operators with an additional income stream as the clients single point of supply for the product. Facility staff can easily over lock and restrict entry if necessary. 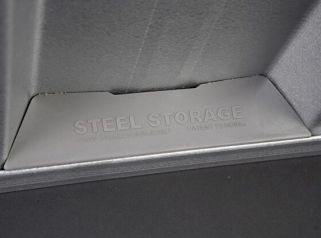 Our swing doors are design, engineered and manufactured by Steel Storage specifically for the Self Storage industry. They are available in a range of colours and provide an attractive, user-friendly, rigid and secure access solution. 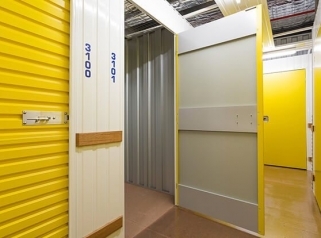 Lockers are a high yielding, income producing Self Storage options which can be utilised effectively within the unit mix and in excess spaces not ideal for traditional units. They are available in a range of sizes, widths and configurations. 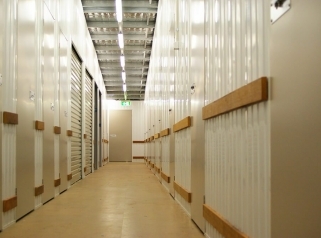 Drop-downs are external Self Storage products that can be used in challenging areas around your Self Storage site particularly where there are easements. These portable units when stacked together look like traditional Self Storage spaces. 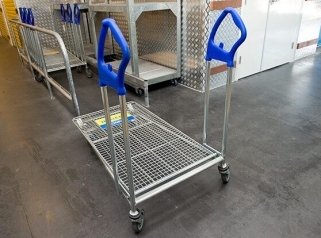 Our inter stackable trolleys are designed to stack together to avoid cluttering of valuable space and restricting access. 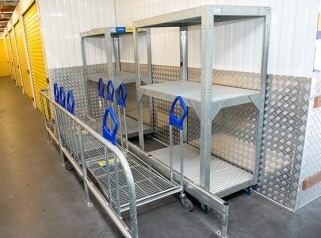 These trolleys are ideal for multi level facilities. 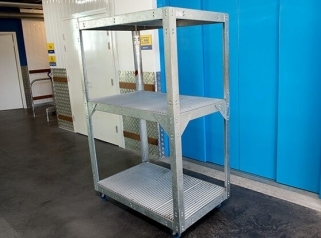 Our award-winning three-level trolley reduces the amount of trips that storers need to make to their storage space, saving valuable time and removalist costs. 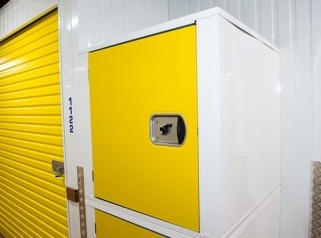 See our selection of Self Storage products. 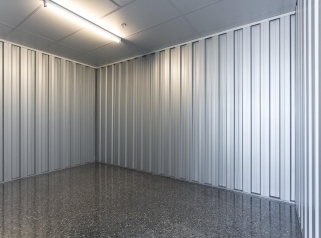 Our designers can integrate a trolley bay into your Self Storage facility design in the most convenient and practical location to ensure trolleys are not left randomly in corridors. 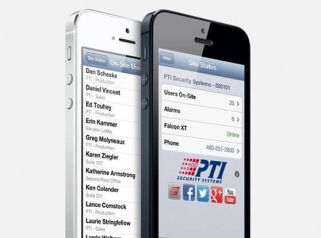 Our market leading PTI Falcon XT Controller securely stores customer data, site information and provides communications between all PTI system devices. 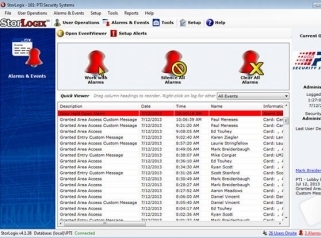 PTI StorLogix software is used to control and integrate site access, lighting, lifts, door alarms and display unit status. 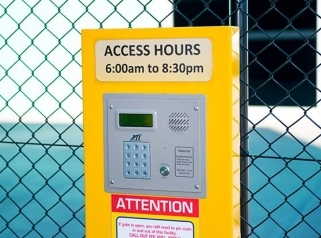 We have a full range of quality PTI access control keypads with alphanumeric displays to provide customer information and communicate access activity to the facility office. We provide individual door alarms to each space in your self-storage facility providing peace of mind for customers and security for stored goods. Reed switches are fitted to swing doors and the roller doors to provide 24/7 monitoring of individual units. Our revolutionary mobile software applications enables facility operators to conveniently access their facility security system and CCTV surveillance remotely. 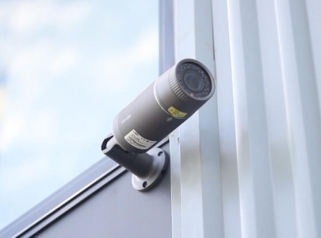 We supply and install the latest CCTV surveillance solutions with integrated IP camera equipment. 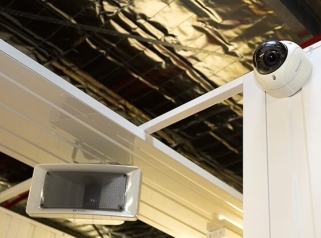 CCTV is one of the most effective deterrents for theft and crime in self-storage. Public Address Systems can be designed and added to your self-storage facility providing background music and the ability to broadcast messages to all attendees on site.